In the April issue of inPAINT magazine, five painting professionals were asked about their tape preferences. Most pros are creatures of habit and once they feel comfortable with a product, they’re not inclined to try something new unless they absolutely have to. 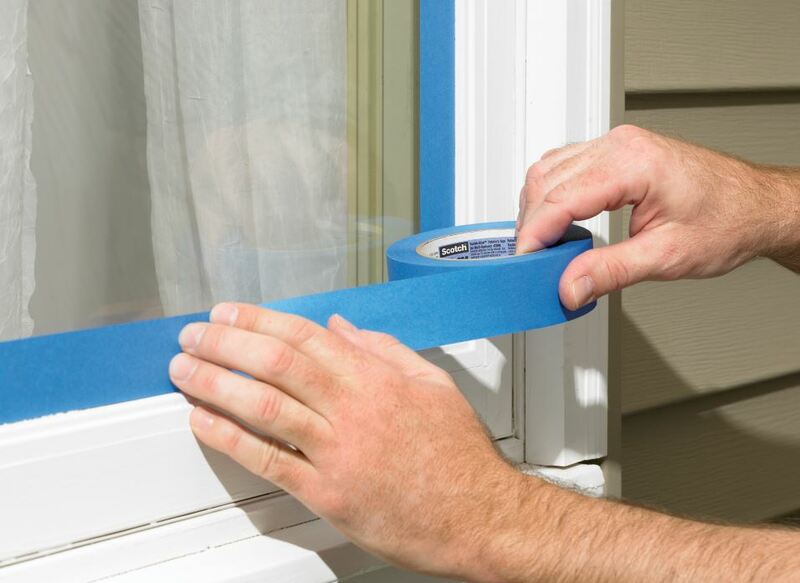 But when it comes to tape, they are always on the lookout for the specific tape that works best for the surface being painted—or that sticky scientific balance between the right amount of adherence to avoid paint bleed and an easy release that doesn’t leave residue or damage the surface. “Tape is not something you pay too much attention to, until you have problems with it,” said Lucas Marry, owner of Luke’s Painting and Faux Finishing in Plainfield, IL. For interior drywall and baseboards, there’s a growing loyalty to green FrogTape Multi-Surface Painter’s Tape. Then, when it comes to creating unique designs on drywall, situations where paint bleed is an absolute job wrecker, the yellow FrogTape Delicate Surface Painter’s Tape is a common go-to. Paul Belliveau, a lead painter at Arthur Cole Painting Corp. in Worcester, MA, sees his share of custom design requests for commercial open space, conference rooms, hallways and focal areas. The yellow FrogTape product is his favorite for these situations because the tape is smooth, not textured like some blue tapes on the market, he says, making tape bleed less likely. “There’s a Scotch Fine Line (yellow) tape that’s comparable, and I’ll use that one as well,” he added. Monty Byars, owner of Rives, TN-based Byars Painting & Drywall Finishing, also likes the yellow FrogTape for accent walls and other situations where a crisp line is needed. 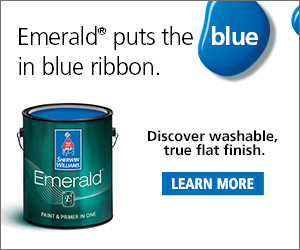 Even with FrogTape’s growing popularity, some painters still hold to tried and true blue painter’s tapes. Alyssa Usrey, an estimator for Beaverton, OR-based Sisu Painting, says ScotchBlue ORIGINAL Painter’s Tape is great for certain areas of exterior jobs. It adheres well, but doesn’t leave residue on windows or vinyl siding, she says. For Marry, taping to brick exteriors on hot, humid days requires a unique product that’s up to the task. He uses InterTape Rust-Oleum Pro-grade Automotive Masking Tape. It can endure high heat (up to 250˚ F) and high moisture. Belliveau likes Shurtape Specialty Grade, Outdoor Stucco Duct Tape. It offers serious adherence without leaving behind any residue. “That tape sticks to the surface longer and it doesn’t leave behind any residue like a silver tape I used to use,” he said.